The episcopal palace incorporates many historical layers, from the Middle Ages to the 21st century, in both its construction and its interior layout. This results in a mosaic of different architectures giving the visitor two approaches to the museum – the monument and the collections. The medieval artefacts naturally find a home under the 16th century groin vaults, and the pieces of Bayeux lace are showcased in the 18th century panelled rooms of the bishop’s private apartments. The collections of Bayeux porcelain, sometimes exhibited as though in a factory, have taken over a contemporary glass island. 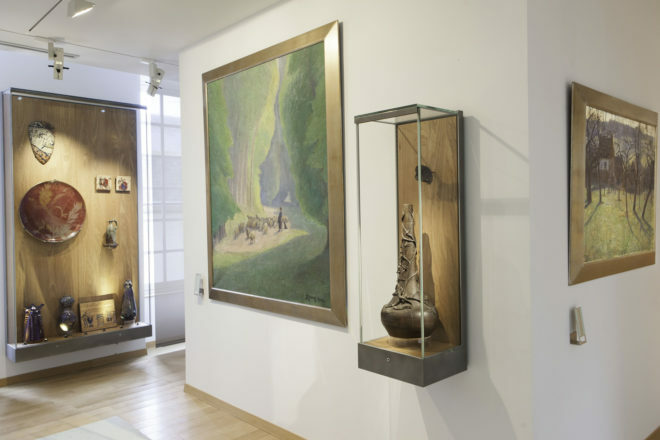 The visitor is guided through a chronologically arranged succession of rooms in which the artefacts are presented in an eye-catching and attractive way. To guide visitors through the collections and aid their understanding of the works on display, the museum layout is designed chronologically in 14 sections spread across 2 floors: the ground floor contains 5 sections going from Prehistory to the Renaissance, and the other 9 sections, covering the 17th to 20th century collections, are on the first floor. Within the ceremonial areas of the episcopal palace, one particular room stands out. 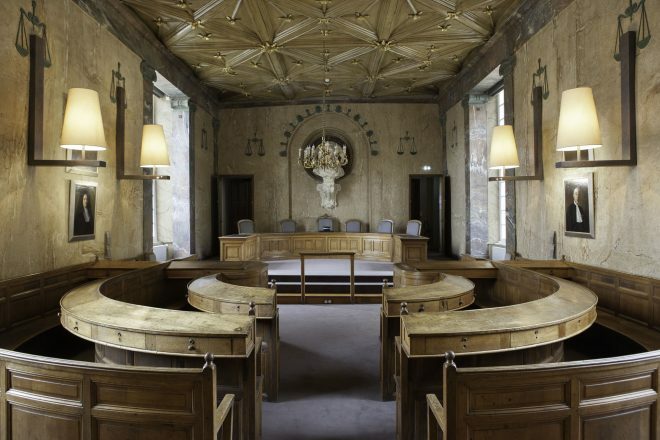 What had been the bishop’s audience hall became the district court of Bayeux from 1793 until 1987. Today the room is displayed in its judicial configuration, with the original furniture dating from the period of Louis-Philippe (c. 1840). At the far end of the courtroom there is a magnificent Renaissance chapel, the former private chapel for the bishop which was used as the deliberation room for the court. Come and visit as a family! With touch pads containing children’s quizzes in the exhibition spaces and a games booklet for children aged 7 upwards, the MAHB makes its collections accessible to all audiences.